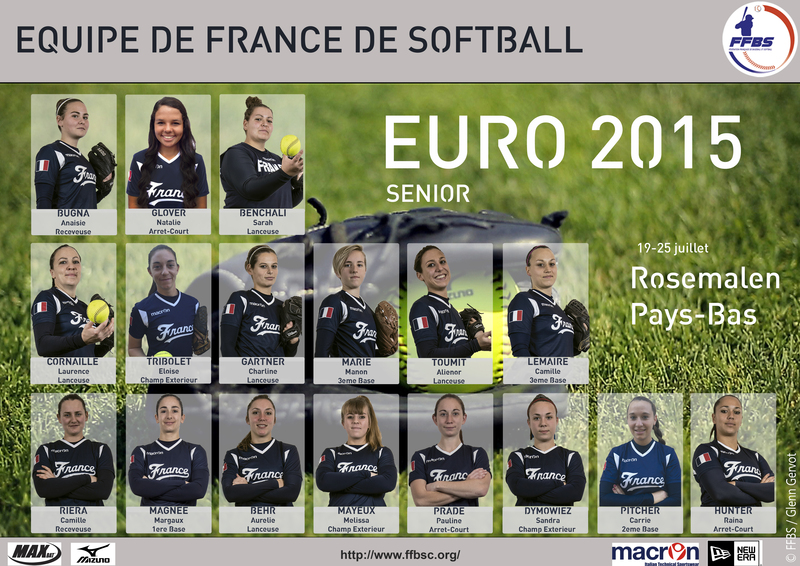 The French Baseball and Softball Federation (FFBS) has released the roster for the upcoming Women’s Softball European Championship in Rosmalen, Netherlands. France is facing Croatia, Spain, Poland and Russia in Group B of the preliminary phase. The tournament starts on Sunday, July 19. France finished in 18th place in the last Women’s European Championship and hopes to reach the Top 8 this year. 17 players have been selected including Melissa Mayeux, who is currently playing in the U18 Baseball European Championship in Ostrava, Czech Republic.